If electronics are on your holiday shopping list, watch out. Gadgets like cameras, computers and GPS devices make good gifts, but if you need to return or exchange an item, it could come at a hefty price. Some merchants-- not all-- charge a so-called "restocking fee" that some consumers feel can be painful. Alan Camuto of Queens, who was shopping at the Best Buy store in Union Square, says "I think the restocking fees in this economy need to go. I don't see any reason for them." So what's the reason for a restocking fee? Retailers say it costs money to have technicians make sure an item fully works, and there's concern about trying to re-sell that item. Angie Hicks is the woman behind "Angie's List", where consumers rate goods and services. Hicks says, "the store is claiming that a lot of times, especially if the package is opened...that they're not gonna be able to sell it as new, so they're gonna have to take a discount on it." Sherry Chang of Queens, who was also shopping at Best Buy, says, "I personally don't agree with the restocking fee because if the item is in good condition, you should be able to return and they should take it back." Restocking fees vary. For example, at Apple, it's 10 percent. 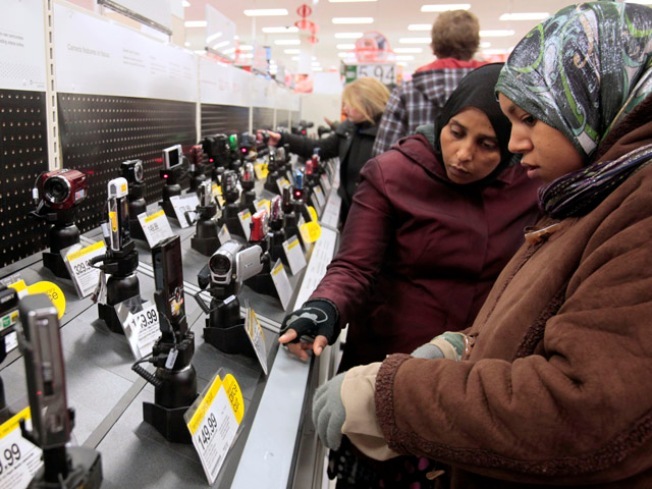 Best Buy charges 15 percent, so does Target, Sixth Avenue Electronics, Amazon, Sears and Dell. If an item is defective though, the fee doesn't apply. However, some merchants don't charge restocking fees at all. That's the case at Walmart, Costco, Home Depot, Lowes, Radio Shack and Staples. Angie Hick's advice is to "make sure you give...the right item. If you're not sure, you might consider giving them cash or a gift card, so they can pick out their own." And if you do purchase certain electronics, make sure to check the store's return policy for any fees that might apply.